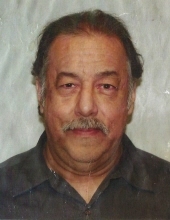 DURHAM: Miguel Gutierrez, 60, passed away on Sunday, October 28, 2018 at Hock Family Pavilion in Durham. He was born in Durango, Mexico to the late Angel Gutierrez Chavez and Micaela Ontiveros Mendez. At age 15, Miguel was offered an academic scholarship. Miguel went on to acquire many skills such as car mechanics, calligraphy and later building and repairing computers. He enjoyed video gaming and watching science fiction movies. He enjoyed a vast amount of music such as music from Jose Alfredo Jimenez and Ramon Ayala. Miguel was a very laid back guy who loved being at home and being around family. Mr. Gutierrez is survived by his wife, Marina Gutierrez and daughters, Aida Figueroa, Sabrina Marin; sons, Julio Cesar Marin, Robert Marin; and grandchildren, Chelsea Nichols, Amanda Marin, Andy Matthews, Victor Figueroa Jr., Gabby Freeman, Isaiah Marin, Mya Marin. A memorial service will be held at 2:00 p.m. on Saturday, November 3rd at Immaculate Conception Catholic Church. To send flowers or a remembrance gift to the family of Miguel Gutierrez, please visit our Tribute Store. "Email Address" would like to share the life celebration of Miguel Gutierrez. Click on the "link" to go to share a favorite memory or leave a condolence message for the family.